Today’s attendance was less than usual. 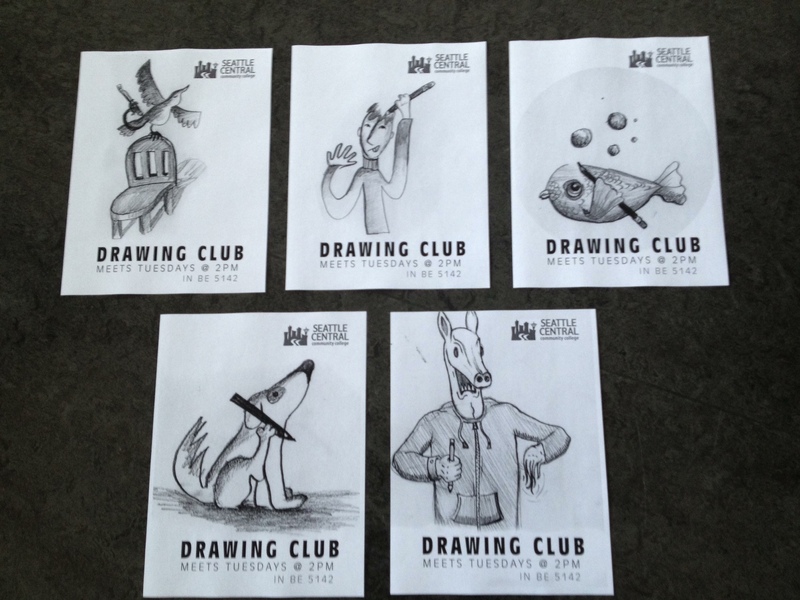 To boost numbers, we made drawing club posters. The assignment: draw something drawing itself. Previous What is a Good Poster?